I thought I would share with you another designy post, and this project feels relevant because I am travelling home tomorrow for Christmas! I am so so so so so so excited, I haven’t been home since APRIL. 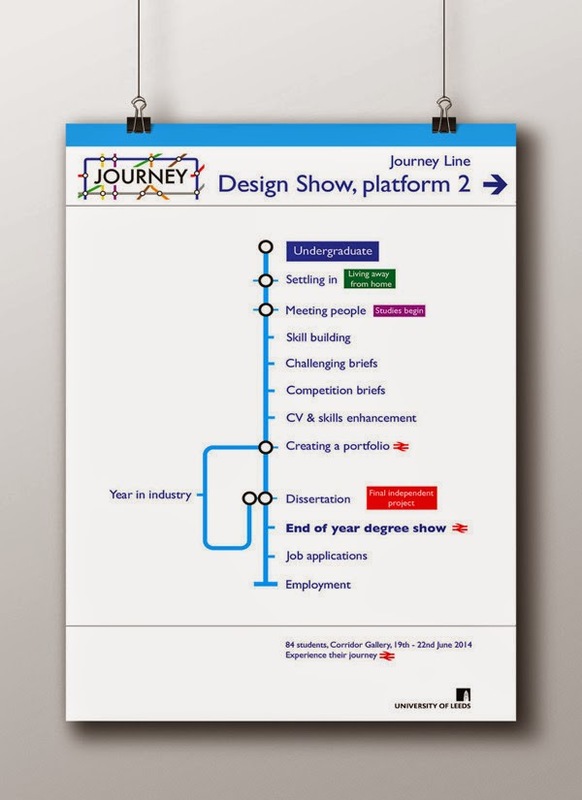 This was a second year university set brief called “start at the end with a big idea” which basically was to design the brand identity for an end of degree graphic design show! I was really proud of the outcome and my mark for this piece, I worked hard on it! 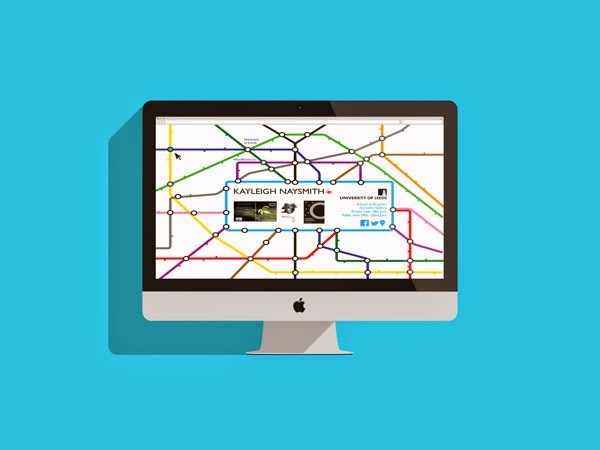 My concept developed through research into the life of a graphic design student, as a student you learn so so much during your time at university. 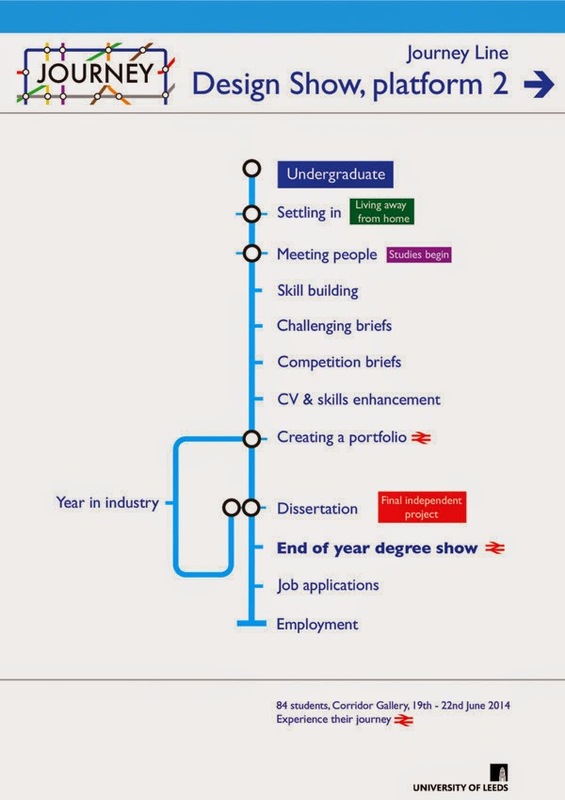 You gradually progress and develop your skills and I felt that this end of year show would be an excellent way to show the journey from undergraduate to graduate. 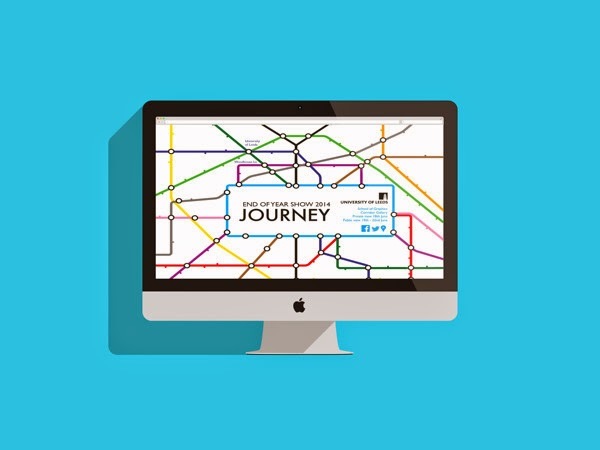 Above is the logo I created for my brand identity, I looked into different ways to represent ‘a journey’ but I decided to go with a London Underground design style because it is extremely iconic. This is the poster for my exhibition, to be placed around the University and also around Leeds City Centre, perhaps near the gallery. Luggage tags to act as invitations to the show. Above is the homepage for my microsite, I kept it fairly simple, with the basic information the user would require such as date and location, as well as the ability for them to follow them on various social media websites. Another context shot of my microsite, but with the interactive aspect shown. When the user hovers over the various ‘change overs’ (circles) the middle panel will show a preview of a students work. The dot doesn’t always show the same students work. 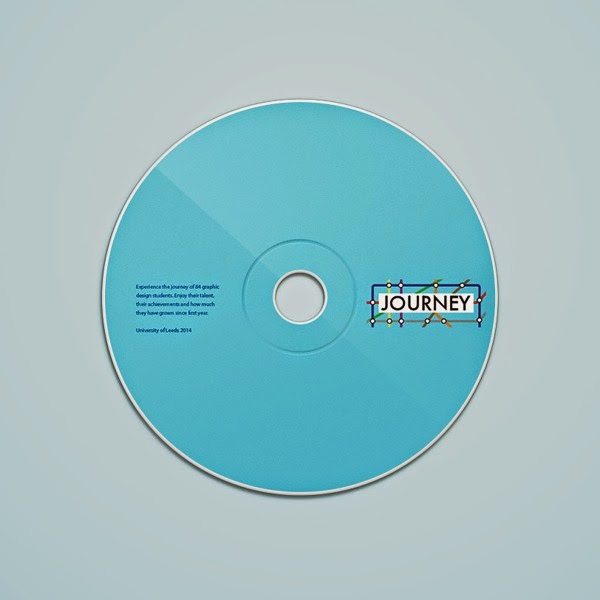 The disk which would allow the user to re-visit the journey of the students work. A business card style a like a train ticket. These will be handed out as well as the luggage tags around the university and city. 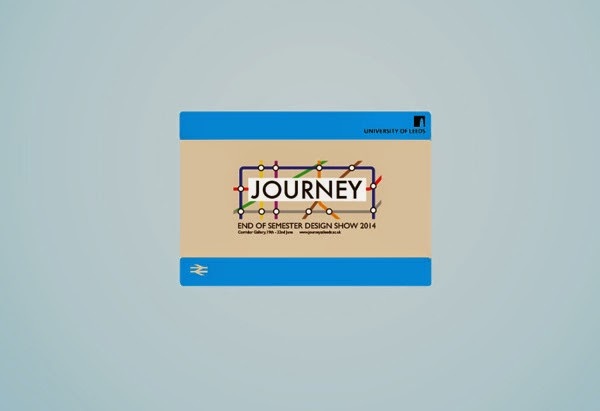 If you were to bring one of these cards to the degree show, you would be given a voucher code to give you 10% off your next train journey. 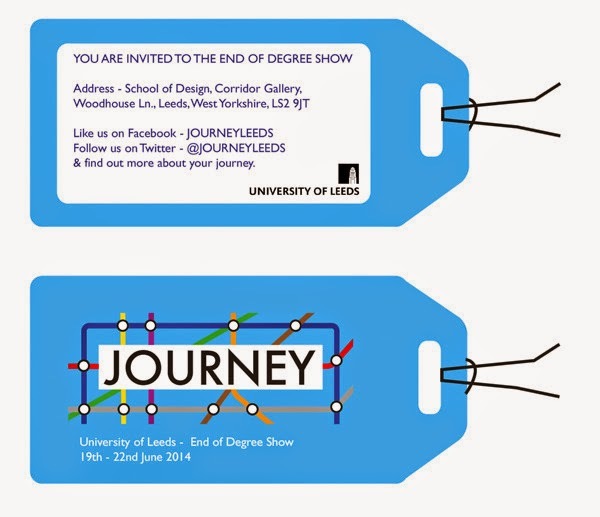 So that is my brand identity for my end of year show! I hope you like this project of mine, do let me know in the comments if you would like any more design posts in the future, I like to give you a little glimpse into what I get up to! Next Post BLOGMAS#22 | The Perfect Christmas Nail Shade! Errrrmaaagadd!! I didn't know your a graphic designer!! SO AM I WOOP!!! I love your idea, anything with the underground is sold to me.. I love the maps and everything, they are so interesting!! Love these posts purely because I love seeing other peoples work!! !